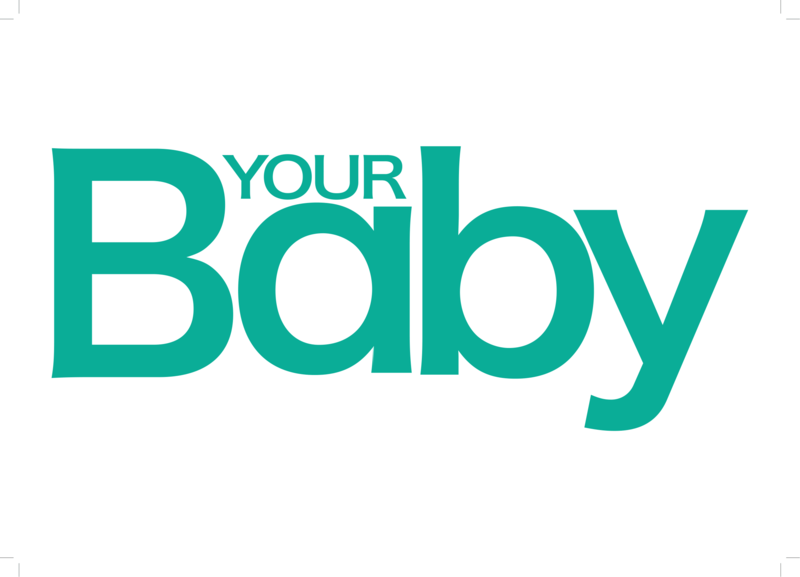 Feeding your newborn solids? Stop right now! Giving your baby any kind of solid food now is dangerous to her health. Avoid it at all costs, regardless of what friends or family may say. The World Health Organisation (WHO) says that adequate nutrition during infancy is essential for lifelong health and wellbeing. To this end, the organisation recommends all mothers practise exclusive breastfeeding, which means that no other liquids or foods are given in the first six months of their baby’s life to achieve optimal growth, development and health. Recent research shows that solids can be introduced after 17 weeks if your healthcare practitioner agrees to it. It is clear that exclusive breastfeeding remains best practice but many parents are still introducing solid foods, such as cereal, to their baby’s diet before the age of four to six months – some as early as two weeks – citing reasons such as not having enough milk, wanting babies to sleep through and pressure from family, among many others. However, medical experts strongly discourage the early introduction of solids because it may have dire consequences such as risk of infection, choking, undernutrition and death in the short term and increased possibility of obesity, heart disease and diabetes in the long term. Feeding practices have a direct impact on a baby’s survival as it affects nutritional status, growth and general health. Stats SA reports that in 2016 close to 73% of children aged less than one year were breastfed, while 32% among the same age group were exclusively breastfed. While these statistics have improved, it's important that they keep improving as they could very well save the lives of so many babies. According to the 2018 Stats SA's report on Mortality and causes of death in South Africa, the leading cause of death among infants is respiratory and cardiovascular disorders specific to the perinatal period (responsible for 14,8% deaths), while intestinal infectious diseases is the third leading cause of death (responsible for 6,7%). 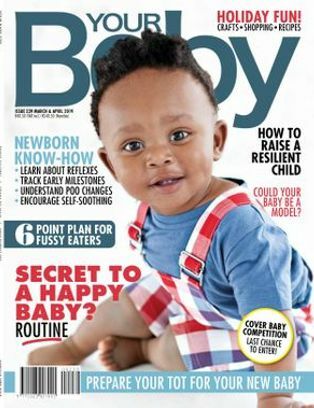 Professor Siyazi Mda, principal paediatrican at Dr George Mukhari Academic Hospital near Ga-Rankuwa, says babies and young children who suffer from diarrhoea, lower respiratory infections and undernutrition as a result, risk these conditions increasing with the introduction of solids before six months. According to Professor Mda, a number of studies show that the early introduction of solids in babies is associated with allergic diseases, including eczema and an increased rate of wheezing. “In developing countries, babies who start solids early are prone to undernutrition, while in developed countries there is an association with obesity and increased body fat, which are risk factors for diabetes,” he says. He adds that the oral muscles of a child younger than four months are not suitable for solid foods and there is often a problem with the coordination of swallowing, increasing the chances of choking. 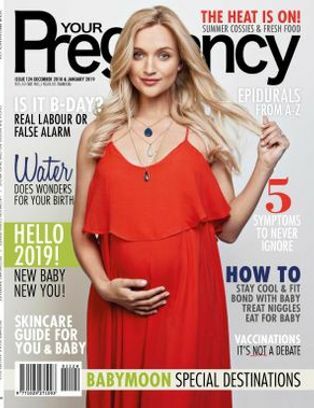 Heidi du Preez, a professional natural scientist from Cape Town, says that before four months, the digestive tract of a baby is immature and solids increase the risk of baby developing allergies. “The intestine of an infant during the first six months is very porous, which means foreign proteins in allergy-producing foods are easily absorbed from the intestine into the blood. Introducing grains too soon can lead to constipation, blocked noses and itchy skin and food intolerances,” she says. Also read: What’s in breastmilk? 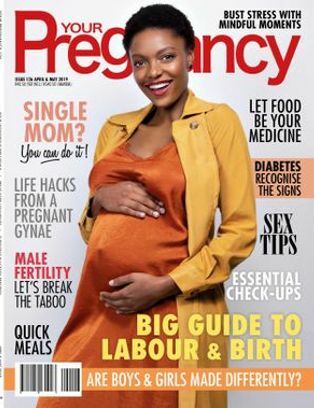 Aaron Motsoaledi, South Africa’s Minister of Health, said that the excuses parents used when introducing solids include perceived milk insufficiency, breastfeeding difficulties and the mother returning to work. “Even when mothers would get off to a good start in breastfeeding, often a few months after delivery, there is a sharp decline in breastfeeding rates and practices. Factors originally causing this were associated with promotion of infant formula milk (which has now stopped) and misconceptions that breastfeeding was a sign of poverty,” he said. 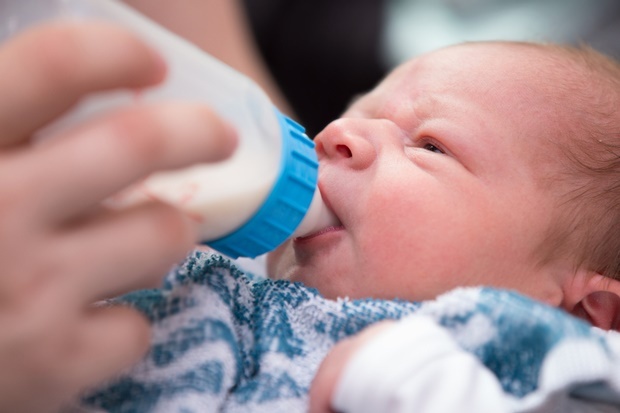 Professor Mda says a large number of parents, or their parents, have the belief that it is a good idea to start solids early as they believe breastmilk is not enough for their growing baby. However, he confirms breastmilk alone is all your baby needs for the first six months of his life. If you’re feeding your baby solids in an effort to have him sleep through, forget about it. Remember that your small baby needs to nurse often, and those two to three hourly feeds are going to be going on for a while. “Children who are breastfed need to be fed frequently, which does not mean the food was inadequate the previous time, but means they are hungry and should receive milk again. Some parents claim it is their culture to start solid feeds early, but this claim is not backed by facts, anthropologists or historians,” he says. After your baby reaches 6 months, the WHO recommends introducing nutritionally adequate and safe complementary foods to the baby, together with continued breastfeeding up to 2 years of age and beyond. 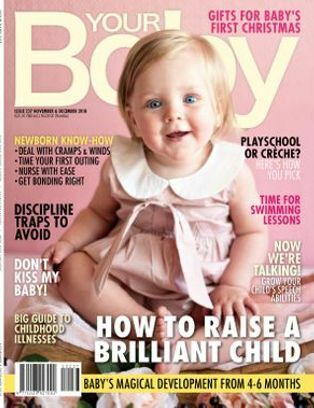 Heidi du Preez says most babies start teething at around 6 months so that is the most sensible age to introduce solids. She says during the first year, milk is very important and babies can thrive on milk alone. In the second year of life 400ml to 500ml of milk every 24 hours is enough. It is ideal to continue breastfeeding for as long as possible, even while your baby enjoys a diet of solid foods. ”Between 6 to 8 months, milk is still the main food source for babies, providing most nutrients while the parent introduces solids to the baby. After 8 to 9 months, parents start adding grains to the diet and from 9 to 12 months babies can be introduced to coarser textures of mashed, minced or grated food and more variety,” says Heidi. Colostrum, the first milk a baby receives just after birth, is actually regarded as the first immunisation and is rich in nutrition and protective substances vital for the baby. According to the National Department of Health, breastmilk is the only nourishment babies need as it provides all nutrients a baby needs to grow and develop for those first few months. Thereafter breastmilk provides most of the nutrients a baby needs from 6 to 12 months. Research shows breastmilk contains antibodies that strengthen a baby’s immune system and prevent illnesses like diarrhoea and pneumonia. It promotes sensory and cognitive development and protects your baby against infectious and chronic diseases. Breastfed babies are also less likely to have respiratory and middle ear infections and are at less risk of dying from malnutrition. Professor Mda says babies exclusively breastfed for 6 months have better growth than those who are introduced to solids early. 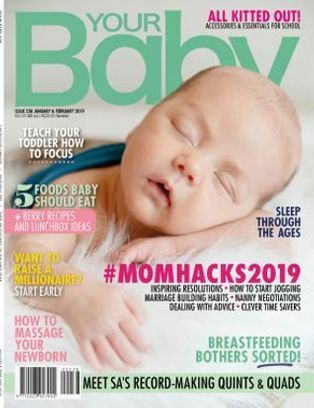 “Some studies indicate that their IQ tends to be higher and they have fewer behavioural problems than those not exclusively breastfed in the first 6 months of life. Breastmilk also contains the beneficial flora that keeps your babies’ digestive tract healthy, boosts immunity and helps prevent colic and eczema,” he says. When did you introduce your baby to solids? Tell us by commenting below. Donate breastmilk and save lives!